Not that I know too much about the world of wood working, but I did want to post some pics of Sam Maloof’s extraordinary work which I had referenced earlier. I have to get down to to the Sam Maloof Foundation sometime. 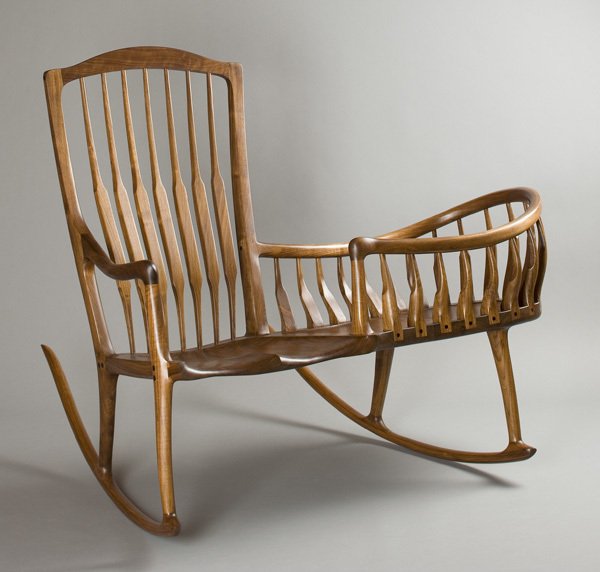 A while back, we were searching for rocking chairs and I came upon this amazing little history of rocking chairs over the centuries.